If you’re in Alabama and you’re looking for information on a Home Equity Line of Credit (also known as a HELOC) or a Home Equity Loan, you’re in the right spot. Both a Home Equity Line of Credit and a Home Equity Loan allow you to take advantage of the equity you’ve built up in your home. On this page, we’ll look at common reasons people in Alabama have for tapping into the equity in their homes, how a Home Equity Line of Credit works, the differences between a Home Equity Line of Credit and a Home Equity Loan, how to calculate the equity in your home, and, finally, how to get a Home Equity Line of Credit or a Home Equity Loan. There are many reasons you might seek a Home Equity Line of Credit ranging from debt consolidation to home improvement. Let’s take a look at a few. Subhead: To Make a Dream Come True. Maybe it’s time for the kitchen of your dreams. Perhaps you’ve been planning to update the master bath. Maybe you need to add-on to create a mother-in-law suite. Whatever the case, a Home Equity Line of Credit allows you to borrow against the equity in your house to improve, update, or expand your house. Do you have two or three credit cards with high interest rates? A Home Equity Line of Credit can allow you to borrow the money to pay off your credit card debt, in effect transferring the balance to a line of credit with a lower interest rate. Another huge plus is having a single payment instead of multiple credit card payments each month. To Cover an Unexpected Expense. Do you need a new furnace? A new air conditioner? A new roof? Are you facing a major medical expense? Life throws us curve balls. It’s not fun, but it happens. If you’re facing an unexpected major expense, a Home Equity Line of Credit may allow you to borrow the money you need to cover the expense instead of putting it on a credit card with a high interest rate. Maybe you want to plan ahead. Is your house is getting older and you know things are going to stop working sooner than later? An open line of credit would allow you to have available funds in case of emergency. That way, they’re already approved with a line of credit available to be drawn on, if and when it’s needed. Let’s start with defining “equity.” The equity you have in your home is equal to the appraised value of your home minus the amount you still owe on your mortgage. For instance, if your home is worth $200,000, and you still owe $120,000 on your mortgage, you have $80,000 in equity. Continuing with our example, a Home Equity Line of Credit would allow you to borrow against the $80,000 you have in equity. If approved, your line of credit would be determined based on the amount of equity you have and your creditworthiness. Your line of credit will have pre-determined “draw” (like “withdraw”) and repayment periods. Many lenders require an initial advance on your line of credit. Some will even waive your closing costs in certain circumstances. First, the interest rates on Home Equity Lines of Credit are variable. Often your lender will offer an introductory interest rate for a set period of time (perhaps the first 12 months) after which the rate will be tied to the prime rate plus a pre-established margin. The margin is usually a fixed percentage added to the prime rate to equal your interest rate. Your creditworthiness and the amount of equity you have in your home will impact the margin the lender charges you, and thus the interest rate you ultimately pay. Home Equity Lines of Credit are similar to Home Equity Loans, but they do have some important differences. Both allow you to borrow money against the equity in your home. However, they differ when it comes to interest rates, how you receive the money, and how the monthly payments are structured. 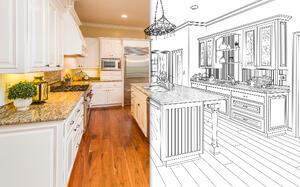 A Home Equity Loan might be preferable if you need a large sum of money up front for renovations or one-time expenses. A Home Equity Line of Credit might be preferable if you need access to money for an extended period of time beyond the initial draw but don’t want to pay interest on it if you end up not needing it (because plans do change, as we all know). 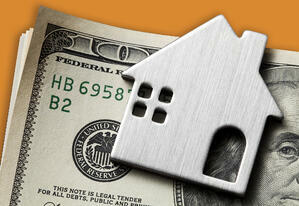 Simply put, the equity in your home is the part of the house that is yours – and not the lender’s. Every time your house increases in value, your equity increases. Every time you make a mortgage payment that reduces the principal owed, your equity increases. Of course, it’s great if both of those are happening simultaneously. NerdWallet offers an equity calculator that will determine your loan to value ratio and how much money you can expect to be approved for based on the value of your house, the balance of your mortgage, and your credit score. 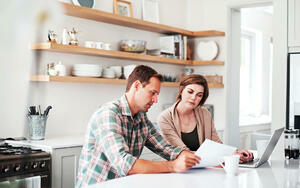 If you’re ready to apply for a HELOC or a Home Equity Loan, you’ll want to decide on a lender. You’ll want to consider interest rates, term lengths, and draw periods. And, of course, you’ll want to think about the level of service you can expect from your lender. We hope you’ve found this page to be informative and helpful. We at Avadian Credit Union are pleased to serve the people of Alabama. If you are interested in learning more about Avadian, click here. If you are interested in applying for a Home Equity Line of Credit or Home Equity Loan, please click here and fill out the form to get started today. Or call us at 1.888.AVADIAN (1.888.282.3426).